Remodeling your kitchen is much more than merely repainting a few walls, choosing new countertops, and dropping a few new appliances into place. Unlike renovating other rooms in your home, a kitchen remodel involves many different aspects and often includes relocating existing plumbing, gas lines, and electrical runs, as well as reinventing the entire layout of the space. Many homeowners agree that it is best to hire experienced kitchen remodelers that can streamline and simplify the project for you, and leave the complicated work to the professionals. 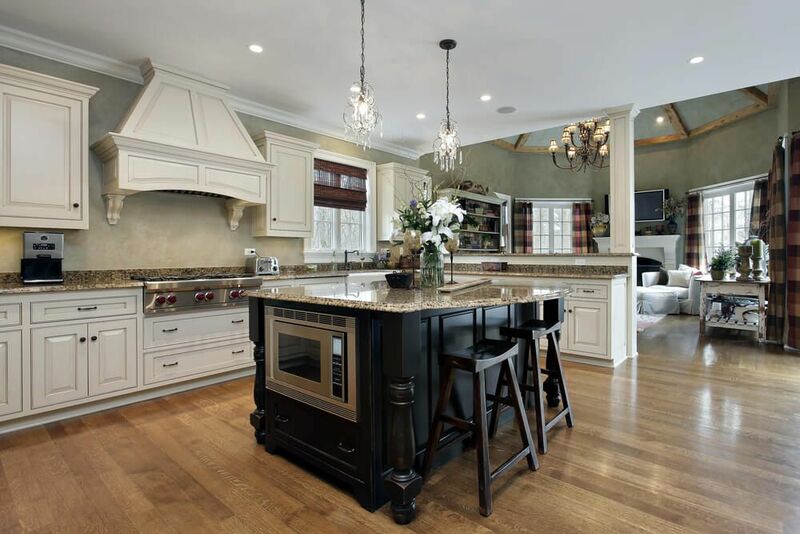 Remodeling your kitchen is exciting, and it helps to increase the resale value of your house. 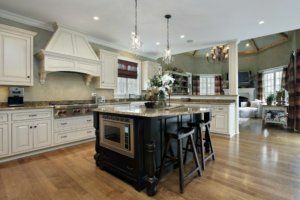 But if you do not communicate effectively with your kitchen remodeler, your new space may not turn out the way you envisioned it, which can lead to frustration, disappointment, and wasted time and money. Before you initially meet with kitchen remodel contractors, search the Internet or browse through the latest home design magazines. Find inspiration and ideas for your dream kitchen and collect the looks you like in a file folder. Telling your kitchen remodeling professional what you want to achieve via these images and examples is easier than trying only verbally to describe your style preferences. Remember, misunderstandings happen, so ensure you and your kitchen remodeling company mutually agree upon any initial estimates before forging ahead. If your kitchen remodelers seem indifferent or disinterested to your needs, you may want to consider hiring a different company. To experience a successful kitchen remodel, be honest and realistic during any communication with your kitchen remodeling company. Never be shy about sharing your ideas in planning discussions and always be clear from the start about how much you can afford. At Republic West Remodeling, we advise our clients in Phoenix and Scottsdale never to hold back important information when it comes to their ideas regarding a particular project aspect. It is smarter to give more details up front than not to provide enough information and leave your kitchen remodeler guessing. Your plan should identify and clarify the roles of everyone involved in your kitchen remodeling project, ideal communication methods, availability, as well as the expected communication frequency. A clear line of communication between you and your kitchen remodelers keeps everyone on the same page, and also helps minimize misunderstandings that can potentially slow down the project. Receiving regular updates on your kitchen remodeling project and knowing that you are hitting specific outlined milestones also helps to reduce feelings of stress and anxiety. At Republic West Remodeling, we have the advantage of working in the home remodeling industry for more than 20 years, so we understand what is happening behind the scenes during a typical kitchen remodel. As professional kitchen remodelers, our goal is to keep clients up-to-date about what is happening each day during construction. Our clients across Phoenix and Scottsdale receive daily updates about their project via email or text, and we encourage homeowners to interact with us if they have any questions or concerns. We believe homeowners should never have to wonder, “what happened” in their kitchen each day during a remodel. With proper planning, communication, organization, and a comprehensive strategy and schedule outlining the plans for each day, a kitchen remodel can go smoothly. A kitchen remodel does not need to be stressful. At Republic West Remodeling, we work with you to make sure that your redesign delivers you the kitchen you have always dreamed of having. Are You Ready to Chat About Your Dream Kitchen? A new, updated kitchen is not only essential for your daily life but also one of the best remodeling projects you can do for your return on investment. To begin the process of creating your dream kitchen, contact us today to schedule your complimentary consultation. We proudly serve the Scottsdale and Phoenix, AZ communities.